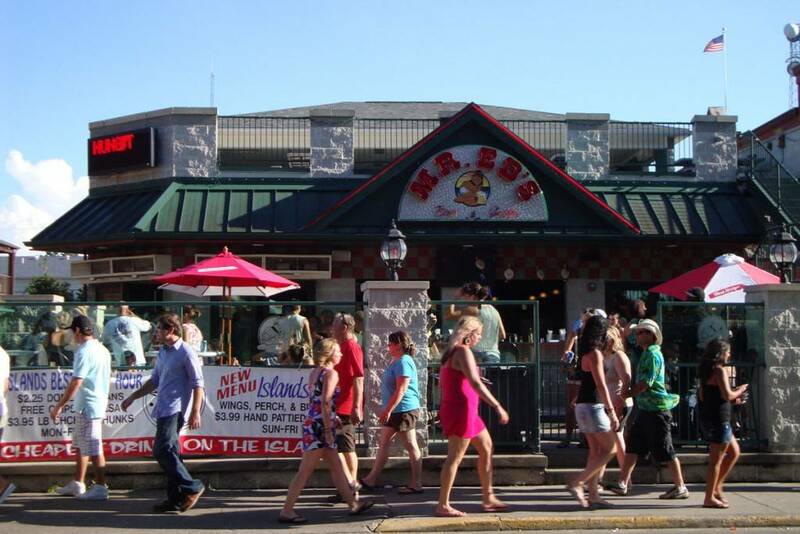 The location of Mr. Ed’s is ideal, on the main street of Put-in-Bay. Furthermore, the Delaware Avenue block has the majority of the shops, restaurants and attractions on the island. Moreover, there are several different areas to enjoy at Mr. Ed’s. First, the main floor bar features live entertainment nightly. Here, guests can grab an incredible pizza and cold drink and enjoy some of the best entertainment on Put-in-Bay. The fun continues on the front patio. Here, guests can enjoy the lake breezes while listening to quality acoustic acts. Furthermore, when the sun goes down, the fun continues on upstairs in the Green Room. The Green Room is the rooftop bar with a night club feel. More importantly, DJ’s spin tunes into the wee hours of the night. So, dance under the stars to the latest hits with the lively crowds. Cameo Pizza’s menu covers all the bases when you’re talking about pub food. They’ve got over a dozen specialty pizzas. Their chicken wings can be tossed in around a dozen different sauces. Paired with a cold beverage, this is a lunch not to miss. So, for hot eats and cold drinks, Mr. Ed’s Put-in-Bay is here to serve. Another great feature of Mr. Ed’s is the attached Commodore Resort. Here, guests will find exceptional accommodations with an ideal location. Also, the Mist Pool Bar is onsite. Mist is a wildly popular high energy swim-up bar. Here, the latest tunes are spun by disc jockeys, and tasty beverages abound. So, be sure to include Mr. Ed’s Bar and Grille for Put-in-Bay excursion.